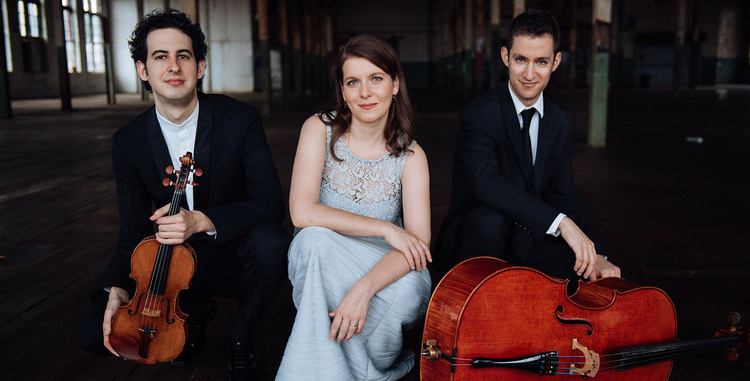 Winner of the 2012 Concert Artists Guild Victor Elmaleh Competition, the Lysander Piano Trio also won top honors at the 2010 Fischoff National Chamber Music Competition, Grand Prize in the 2011 Coleman Chamber Ensemble Competition, and First Prize in the 2011 J.C. Arriaga Chamber Music Competition. Violinist Itamar Zorman, cellist Michael Katz, and Liza Stepanova will perform works by Brahms and Debussy, alongside a short piece by Lily Boulanger, the first woman to be awarded the prestigious Premiere Grand Prix de Rome for composition. The program also includes a new work written for the Trio by young Venezuelan-American composer Reinaldo Moya.